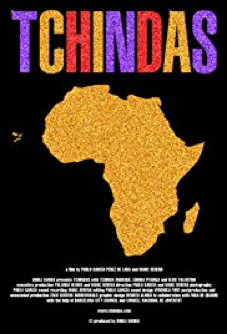 Tchindas is a forward-thinking documentary that zeroes in on themes of acceptance, community, and longing. The film is focalized through the perspective of a transgender woman, Tchinda Andrade- a highly revered person in the Mindelo community. In the excitement and preparation of upcoming Carnival festivities, Tchinda becomes nostalgic and is astonished by how fantastic of a spectacle her community is able to put together. The story of Tchinda is one of overcoming adversity, uniting with friends, and embracing the smaller blessings in life.